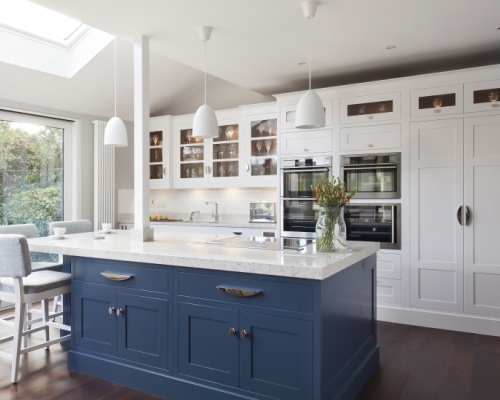 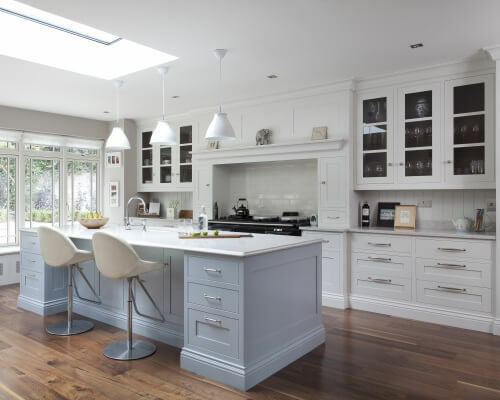 A handpainted inframe kitchen in a new and light filled kitchen extension. 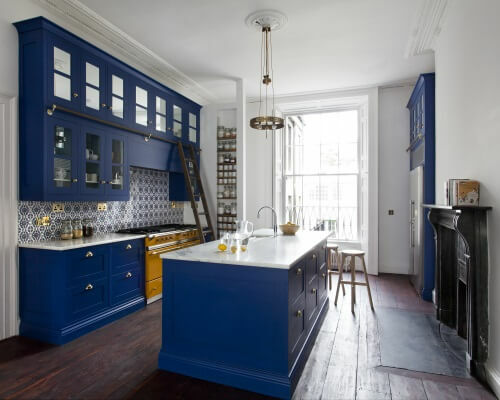 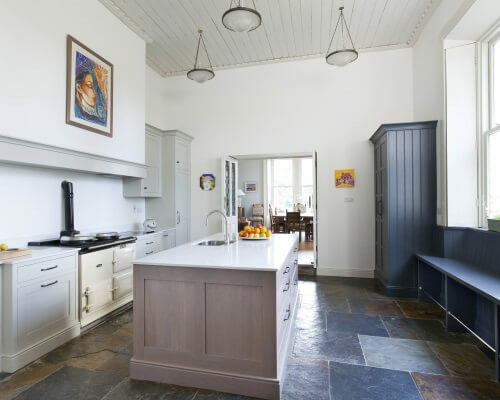 The main bank of units has as it’s centrepiece a substantial overmantle surrounding a large Aga. 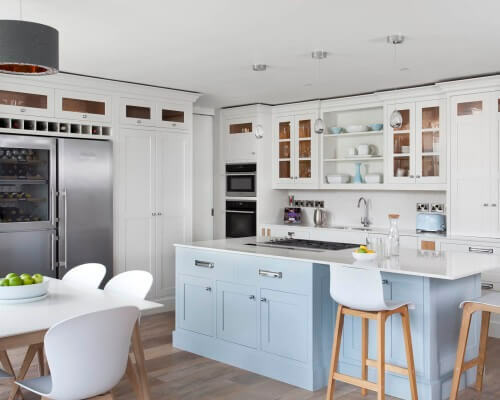 The units have been designed to run from floor to ceiling, entirely filling this long wall. 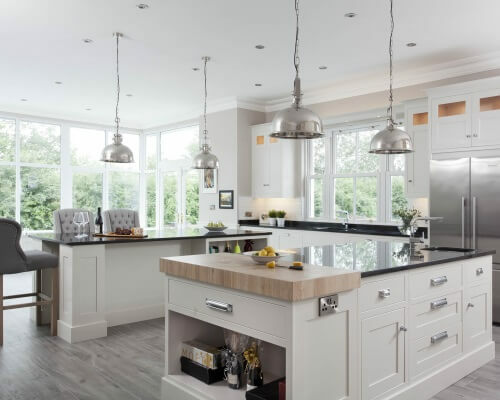 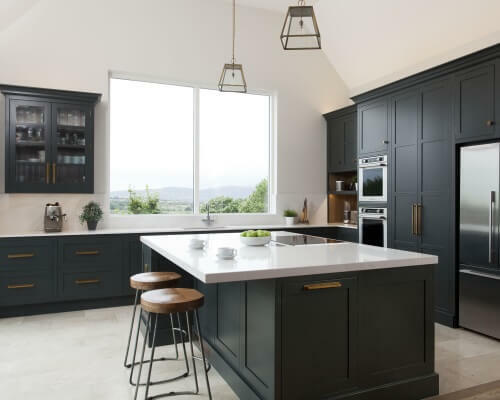 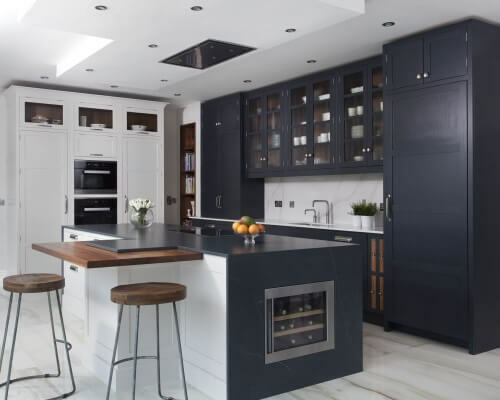 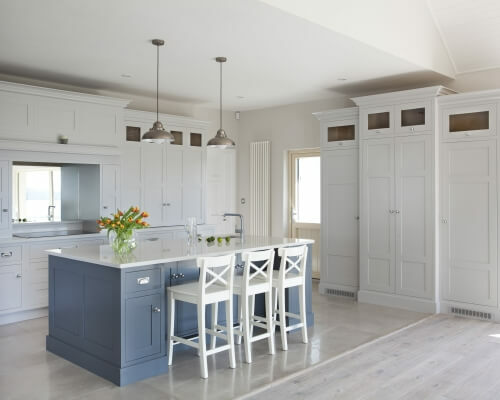 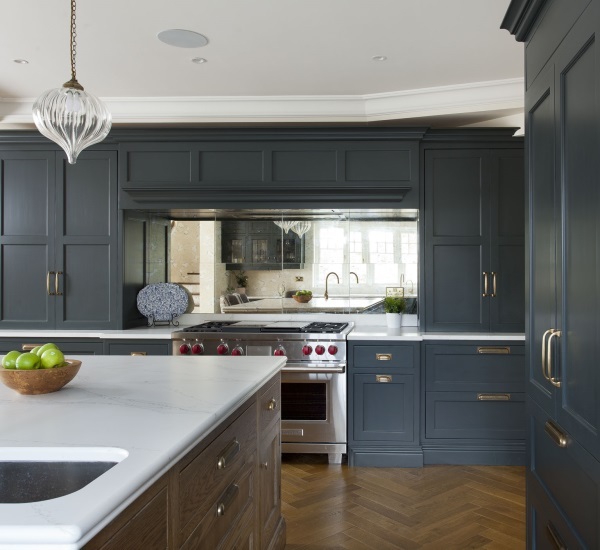 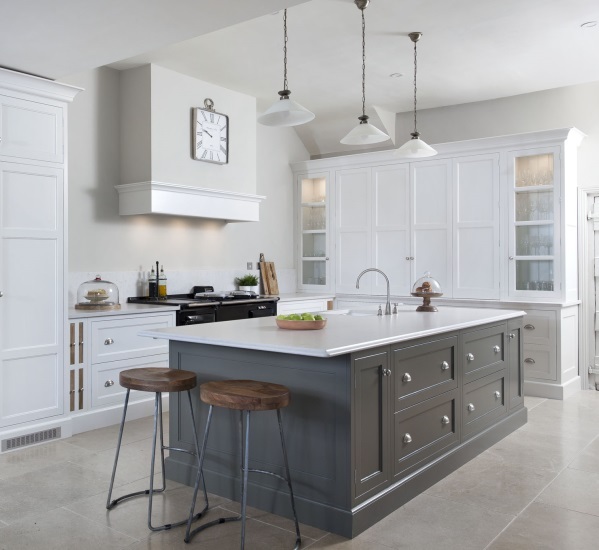 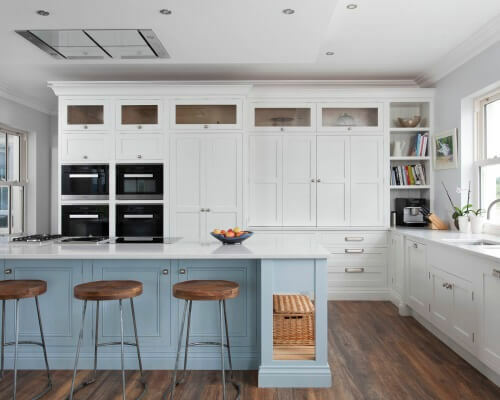 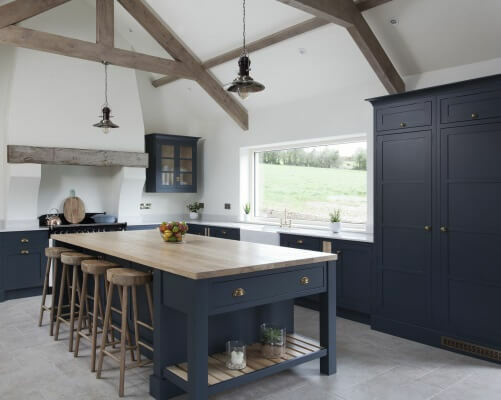 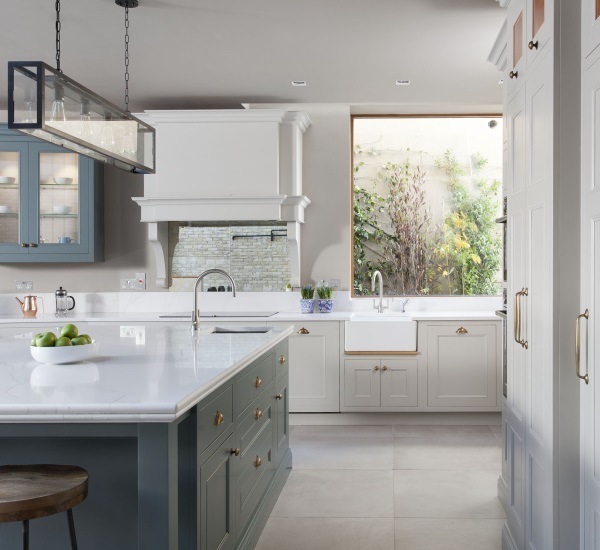 The units have been painted in Farrow and Ball Strong White, while the large island has been painted in Parma Grey, also by Farrow and Ball. 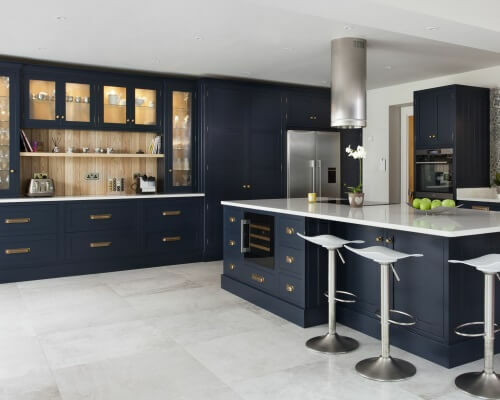 All of the cabinetry internals are made from walnut, and the worksurface is Lyra by Silestone.